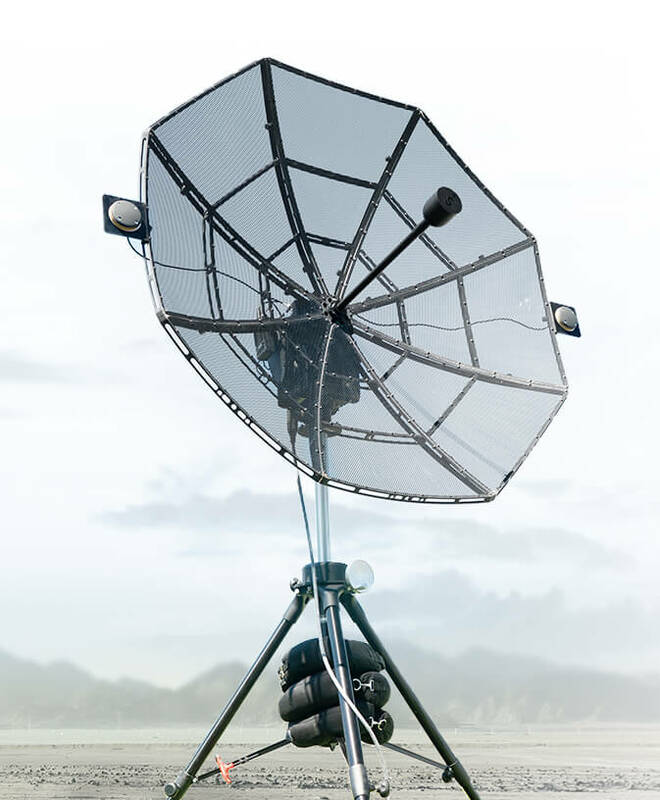 Introducing the Auto-Tracking Antenna System - a deployable system that works in concert with the MPU5 radio to deliver high throughput at long ranges to keep you in constant communication with your aircraft. Disassembling into five, easy-to-transport cases, the system can travel with you wherever you go. Long range high throughput communication to manned and unmanned aircraft has never been so simple. The Tracking System was designed for both rapid deployment and ease of use. Two people can set up the tracker in under 15 minutes to provide high throughput at long ranges. The system collapses into multiple, lightweight transport cases for easy portability, allowing you to set the Auto-Tracking Antenna anywhere without compromising performance. Eliminate human error, track with increased precision, and simplify setup with automatic alignment and self-calibration. 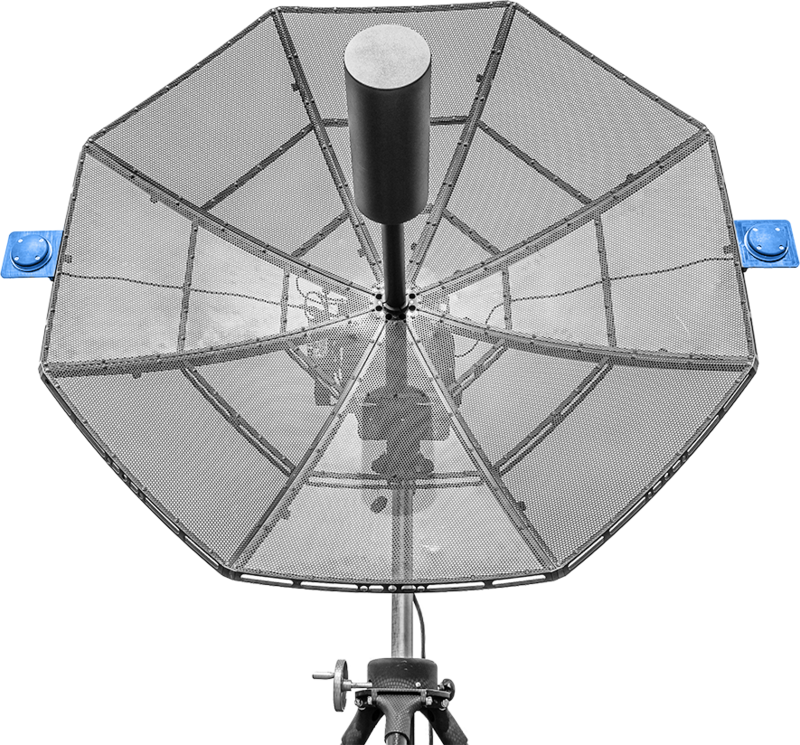 The Auto-Tracking Antenna System utilizes an Automatic Heading System to self-calibrate prior to operation. The tracker provides higher accuracy than ever before, enabling your team to focus their attention where it truly matters: the mission. 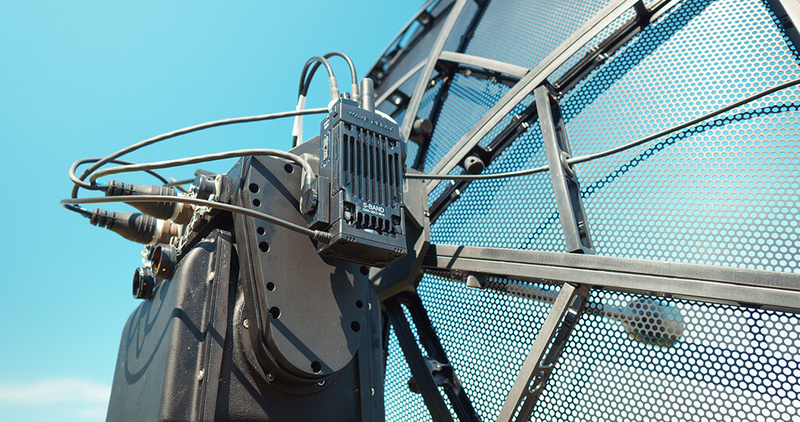 Multiple Input Multiple Output (MIMO) antenna feeds provide long range and high throughput. All of the MPU5’s MIMO capabilities such as spatial multiplexing, maximal ratio combining, and other diversity transmission/reception techniques work perfectly with the tracking system. The tracker’s MIMO optimized design provides high bandwidth connectivity to manned and unmanned aircraft at distances further than ever before. Mission success requires connectivity to all of your sensors and HD cameras over vast geographic distances. Data exfiltration requirements continue to grow at an unprecedented rate. The Auto-Tracking Antenna System enables you to transmit your data faster and further than ever before. The MPU5’s layer-2 connectivity connects all of your payloads to the enterprise.